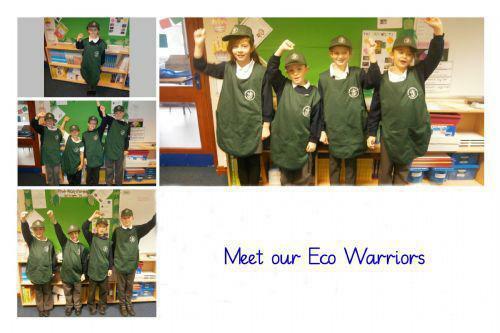 We are the Eco warriors. Our role is to help you care for the environment. You can identify us by the green clothes that we wear. We will help you by collecting the card and paper to be recycled from your classrooms. We will also check that you have turned off the lights and computers to save energy and the taps to save water. We have lots of ideas about how we could make the school more eco-friendly and look forward to people taking better care of our planet.